The Bella Vista Fire Department is one step closer to getting a fire training facility, and hopefully lowering residential insurance rates also. 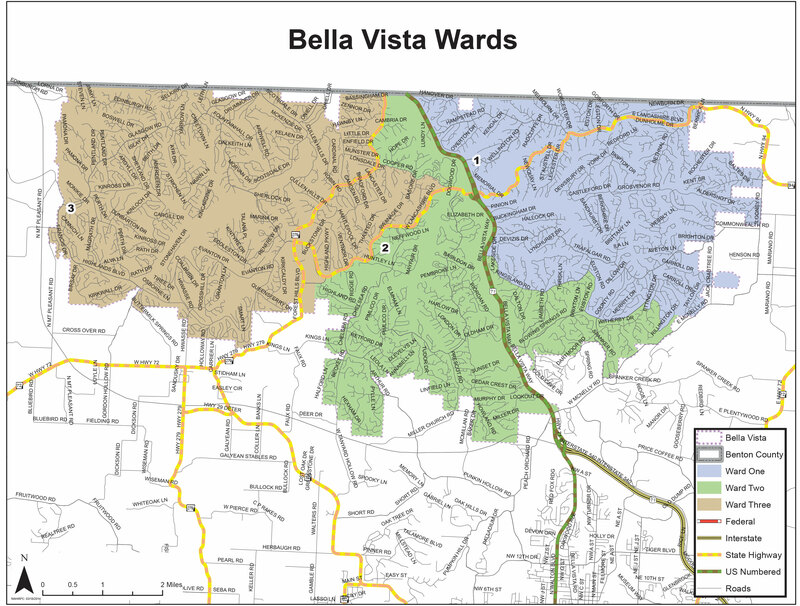 The City Council on Monday unanimously approved a resolution to enter into a lease agreement with the Bella Vista Property Owners Association for a piece of property to be used to construct a training facility. The parcel of about 10 acres at the intersection of Chelsea Road and Tudor Drive will provide the city’s Fire Department with much needed land large enough for a live-fire training facility, driving course for heavy fire apparatus, a classroom building and restrooms for personnel. The city in 2017 saw a reduction in its ISO (Insurance Service Organization) rating, a number on a one-though-10 scale based on a city’s fire protection service which is sometimes used to determine homeowners’ and commercial insurance rates. The city is now at a 4/4x rating, down from a 6. While the addition of Fire Station 4 near the Highlands gate area in 2016 helped bring the score down, a lack of a training facility negatively impacted the rating. “This land lease will allow our city to meet all training requirements for ISO, provide an area for all types of training and naturally meet a multitude of National Fire Protection Association (NFPA) standards in training for our greatest assets in fire protection — our firefighters,” said Scott Cranford, Division Chief over training. Cranford was hired earlier in 2018 to oversee the increased fire training efforts of the department. “Not only will the training center provide the city’s residents with better-trained firefighters, it will also help toward the goal of achieving an ISO rating of 3,” Fire Chief Steve Sims said. The lease with the POA is for 25 years, 4 months and is renewable.